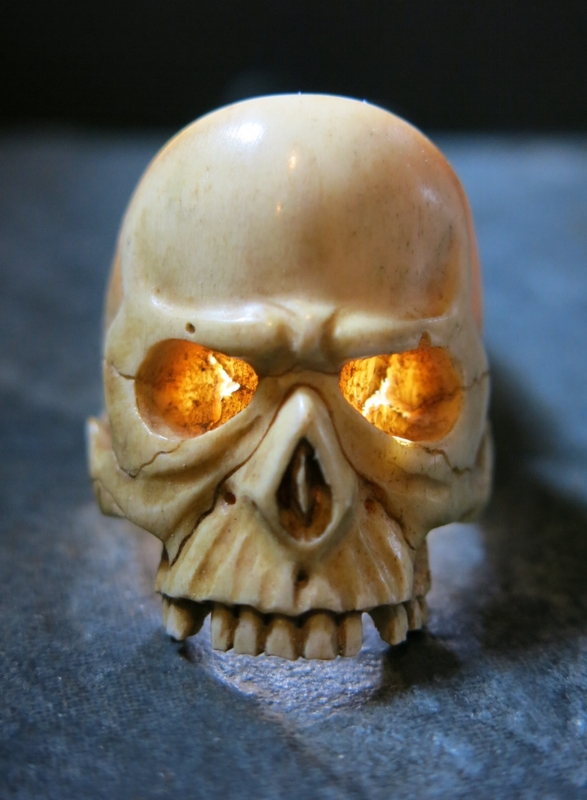 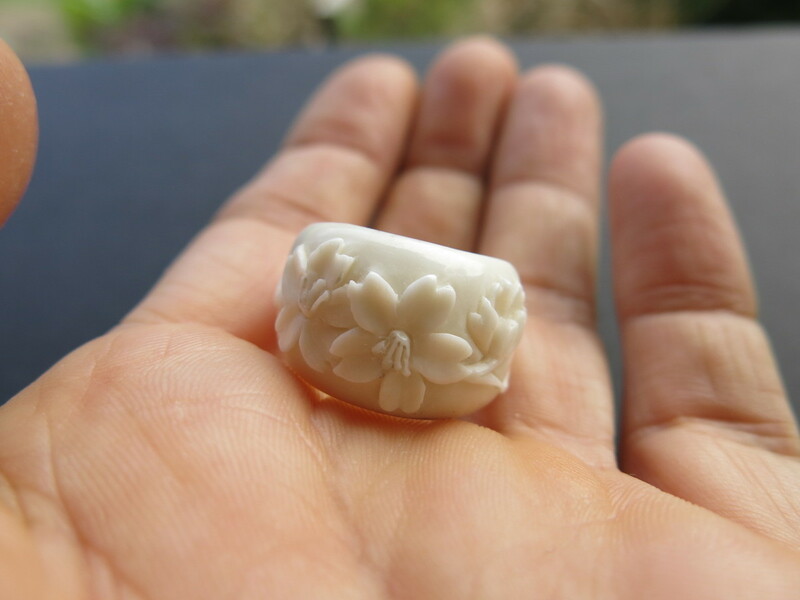 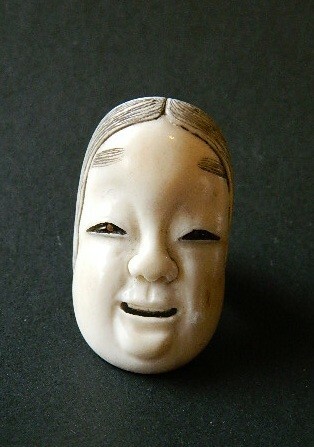 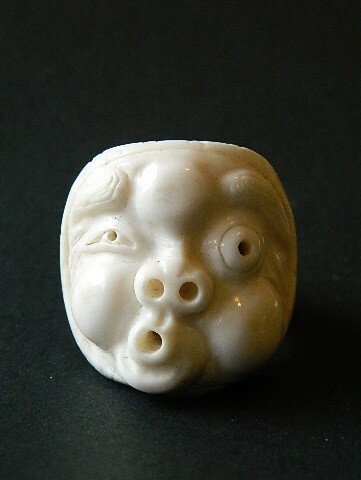 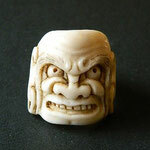 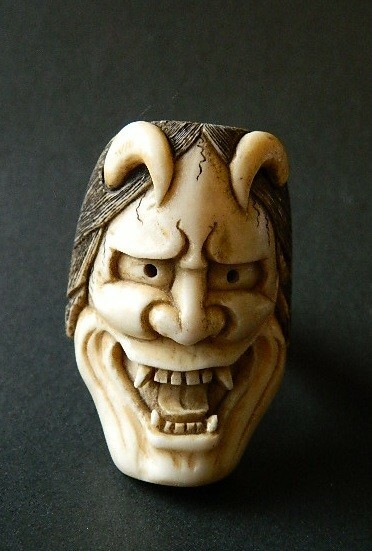 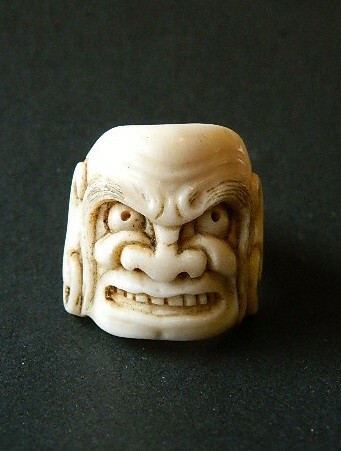 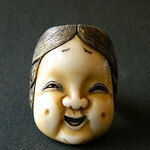 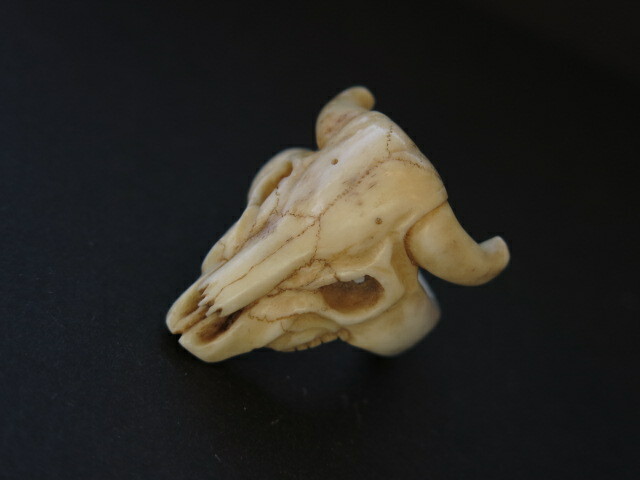 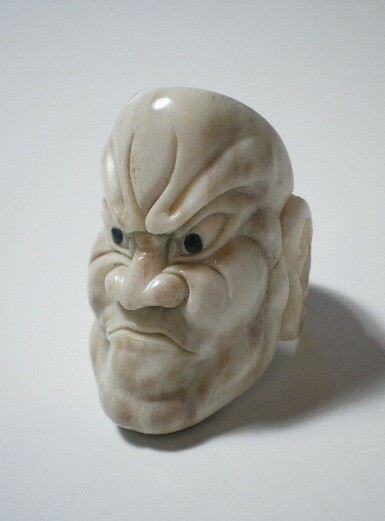 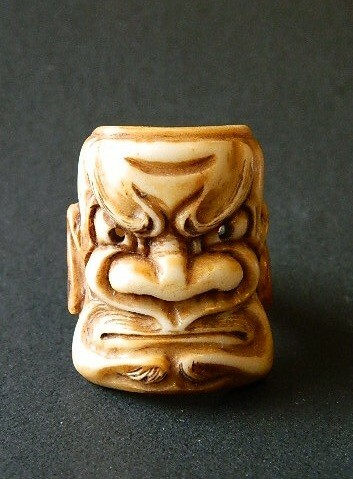 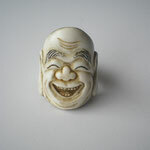 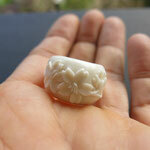 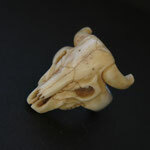 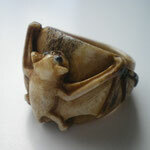 all Rings are carved from Deer Antlers I'm happy to make a ring to suitable size and any faces etc..
Otafuku (also known as Uzume, Ofuku, Okame) was a popular Shinto female deity. 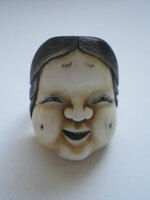 Her appearance is that of a plump, full-cheeked young woman whose face and scant clothing express mirth and sexuality. 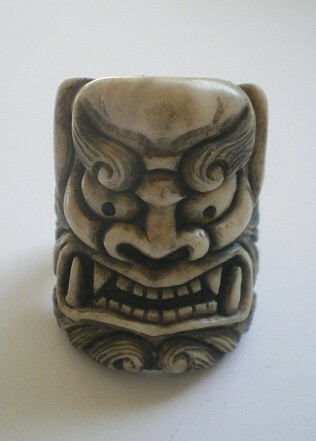 The name itself means Good Luck and prosperity. 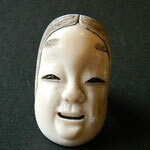 She is a popular mask for festivals or plays. 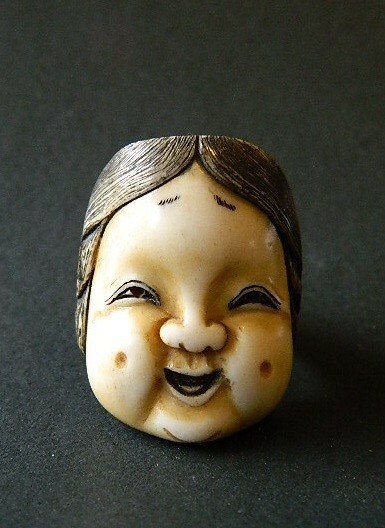 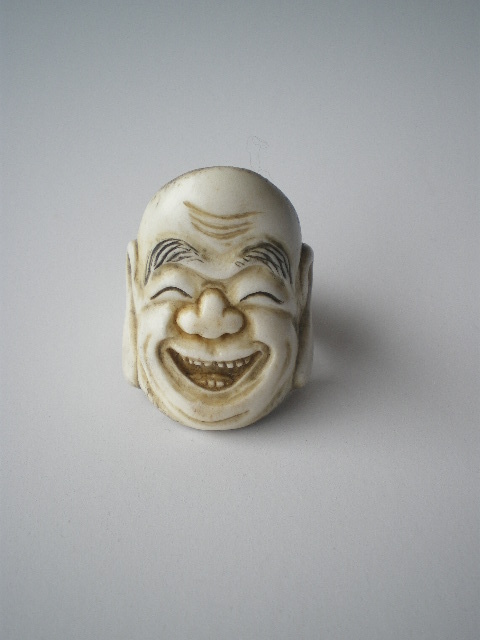 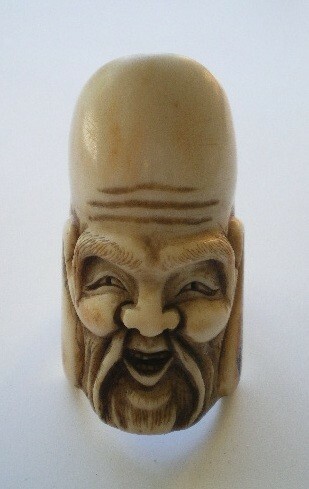 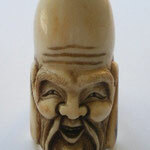 Her happy appearance is believed she brings you good fortune and happiness. 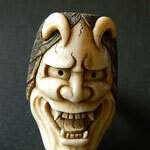 Hannya is representing jealous female demon. 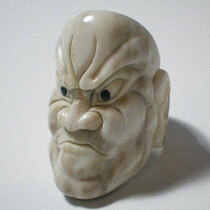 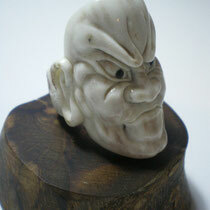 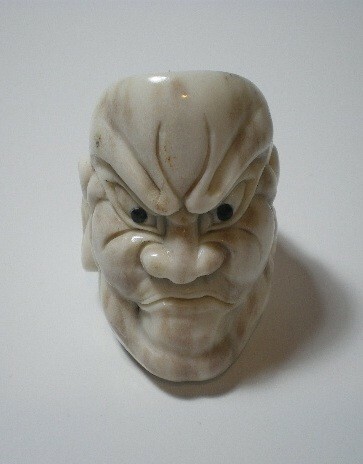 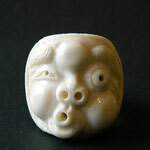 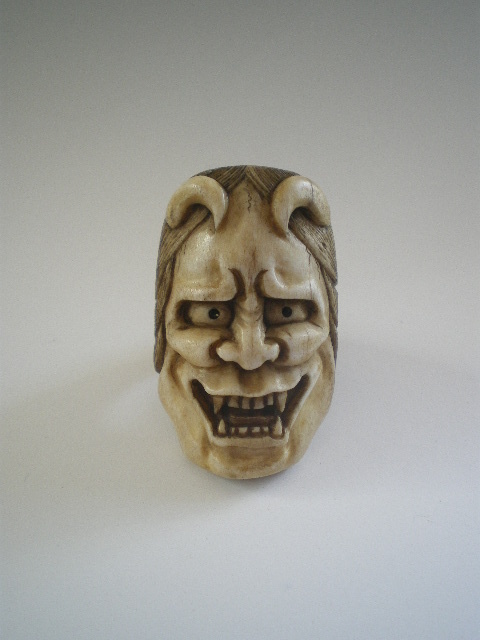 Maybe it is one of the most well-known Noh Play mask. 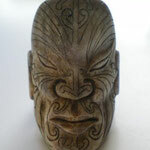 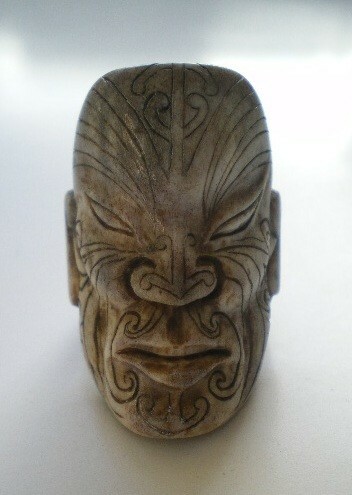 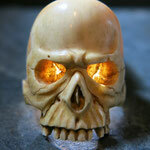 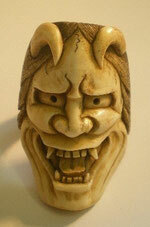 The mask expresses four emotions, such as angry, sad, calm and joy from different angles and movement. 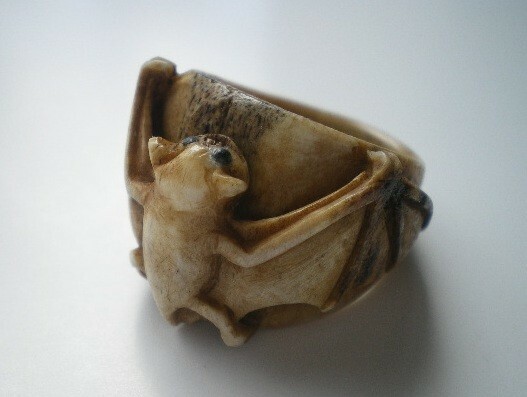 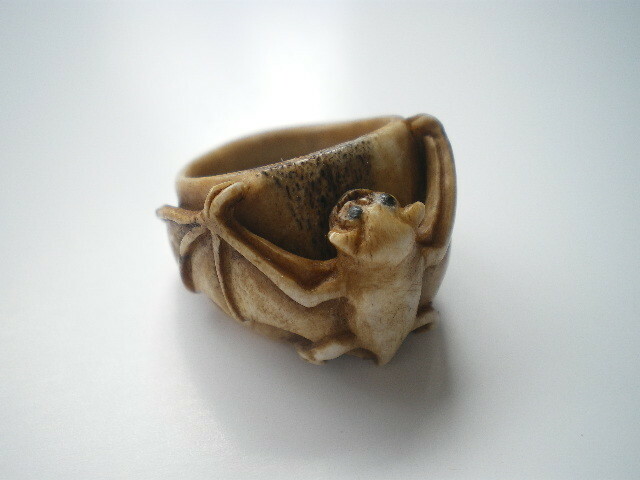 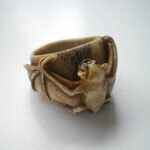 This Ring does too! 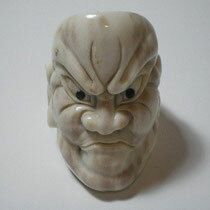 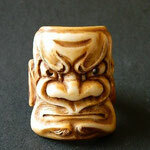 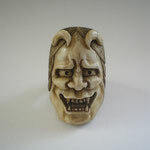 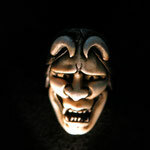 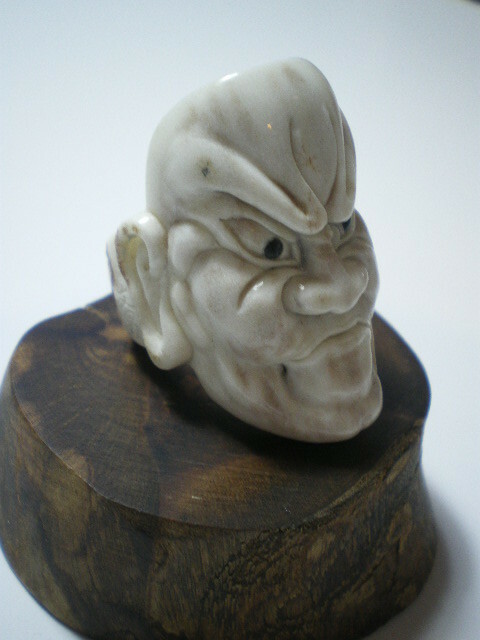 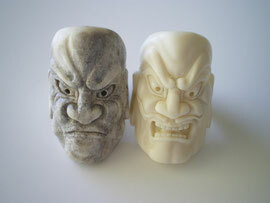 Hannya mask is seen in many houses in Japan for protecting from bad spirits or evils. 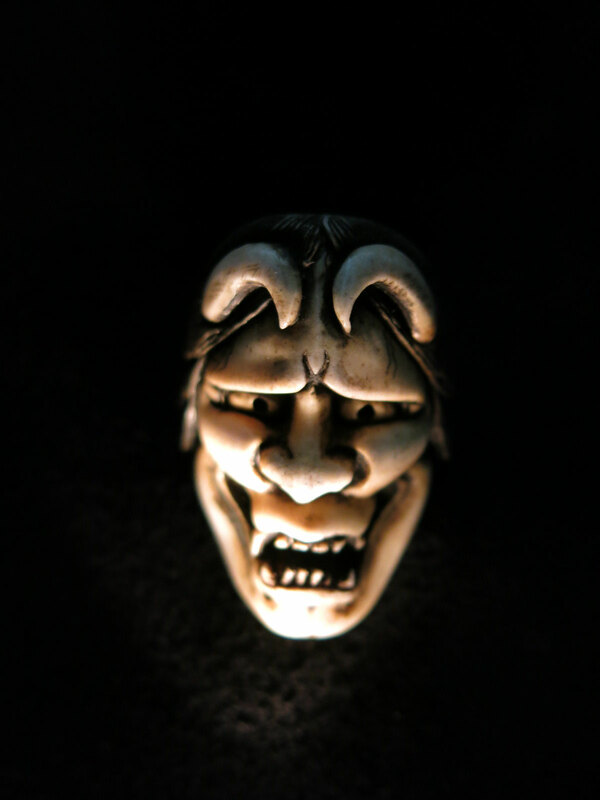 The gate guardians for temples. 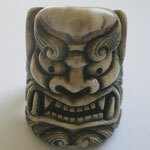 They are a pair and stand the first gate of temples to guard the Idol.